The Dallas Cowboys are excited to team up with the Salvation Army to provide one of the most exciting stadium fundraisers in the nation, the 50/50 Raffle!!! The Dallas Cowboys’ 50/50 Raffle raises funds for The Salvation Army while giving fans the chance to win big at the big game! 50/50 raffle tickets are sold during each home game, and a drawing is held at the beginning of the 4th quarter to determine which lucky fan gets to split the total jackpot for that game with The Salvation Army! The Salvation Army operates more than 7,500 centers in communities across the United States. These include food distribution, disaster relief, rehabilitation centers, anti-human trafficking efforts, and a wealth of children’s programs. For more information on The Salvation Army, please visit http://www.salvationarmyusa.org/usn/about.  Click Here for the complete Terms and Conditions for the Cowboys 50/50 Raffle. Click Here for raffle claim instructions. For more information or to contact the Dallas Cowboys Community Relations Manager, by email at raffle@DallasCowboys.net or by phone at 972.497.4955.